This entry was posted in Entertainment and tagged fail, Massively multiplayer online game, mmo, Old Republic, server merge, star wars, Star Wars The Old Republic, subscription, tank, the old republic by Typhoonandrew. Bookmark the permalink. I rather foolishly paid in advance for a 6 month subscription of SWTOR. The furthest I have got is a level 13 Jedi Sentinel. The game is not comparable to WoW, but more akin to Diablo III. The landscape is not open, but more like large corridors and the whole feel of the game is a fantastic single-player with options of co-op play. I have restarted as an Empire Infiltrator/Assassin which has much more enjoyable gameplay and deeper storylines with serious ethical choices to determine your light/darks sides (do I kill this little boy’s father?). So far, I have not seen any adavntages to the whole light/dark force gains. The game is currently suffering from empty servers and mass exodus, which is a shame as I somewhat feel it needs a little more TLC from its developers. I hope to play the game until my Evil Empre Agent reaches end of his storyline, before considering stopping my subscription. I’m curious what you felt we did that was imprudent? I’m not arguing we weren’t – it’s entirely possible we were! I’m just not fully understanding your argument yet. Imprudent in that on first read I thought the audience was being led (ie the 90% was not confirmed), and that it frustrates me sometimes to hear about the “death on an mmo” as WoW has been declared dead so many times. That said, the article is actually calling for comment and was basically neutral…which makes my post a tad imprudent too. In my personal opinion, WoW has run its course. With the death of the Litch King, I have felt that the story of Warcraft had finished. Catacombes was a bold move by Blizzard to turn the whole world of Azeroth topsy-turvy, but I fear their next expansion will be pale in comparison. SWTOR is barely a year old, a juvenile in comparison to the more refined and established Warcrafts and Eve’s of the MMO genre. With age, the game will have matured like a fine (mmmm red) wine…. That is if the developers don’t change the whole mechanics and balls the game up like SW Galaxies. So if you mean that SWTOR is tanked, then I would say it is a tank as it is built to withstand punishment from critisim and hopefully will survive over a long time. Hey Shaggyd, very interesting that you consider WoW’s end to be Wrath, as that is also where I feel most of their best work was. Elements within Cata were excellent (Rags, Deathwing lore, re-creating the zones) and some areas were pure drivel (Thrall loves Aggra, molten front’s impact on the setting). 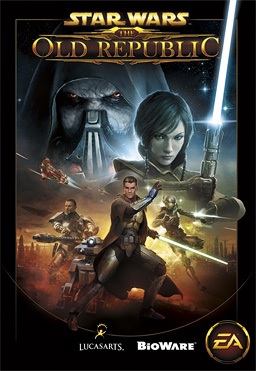 Perhaps what SWTOR needs is the financial backing for the game to mature? If given the time to get old you could be right, I fear that it may not get time and be down-scaled and resource limited so that it stalls. Investors and companies need deep pockets to sustain learning and growth. Heh – yes, I will admit I was stirring interest with the title, but nothing more. I’m finding SWTOR’s ongoing development fascinating – and you’re absolutely right, it’s far from dead yet. The subscription numbers were obviously going to be incredible when SWTOR launched. Just like all MMO games. However, new games will never be WOW quality from the get go. Not even WOW was quality when it launched. So 6 month in and Bioware is now getting updates cranked out and providing for a good if not great player experience, I foresee future growth in this game.